On 10 April 2014 Bournemouth will host an intriguing copyright event on "Digitization, Public Domain and Informational Monopolies". Organised by 1709 Blog friends Maurizio Borghi and Dinusha Mendis, this one-day "symposium will address the intersection of digitization, public domain and digital monopolies from a legal and economic perspective. Case studies, approaches and methodologies will be discussed, with the view of providing an up-to-date understanding of the policy implications of digitization." This blogger is particularly pleased to see that speakers will include witty and charmant Cédric Manara (Google) and other copyright experts. 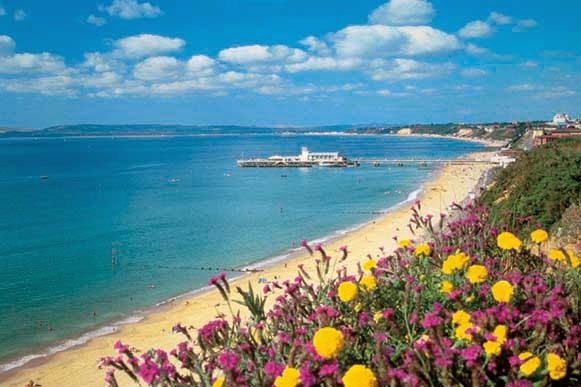 She has also been told that Bournemouth is famously known as the Miami of England [oh well...]. Being in search of a suntan, she will therefore travel to this fair coastal town for this and a fun copyright day. See you there! Miami weather forecast (and temperature) here. Bournemouth weather forecast (and temperature) here.